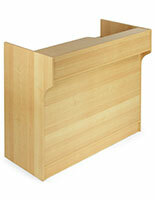 This wrap counter is the perfect cash register stand. 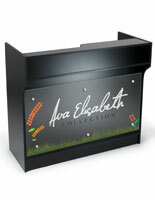 Wrap counters give both you and your customers a place to complete transactions. This wrap counter is both stylish and affordable. It's functional design really makes your life easier. The economical price will keep your overhead costs low, thus keeping you product prices low, benefiting your customers as well. 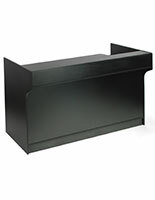 A wrap counter, such as a register stand, cash wrap, or store counter, is a must-have in a retail store. 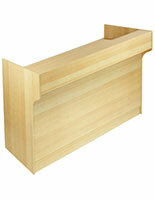 This wrap counter is very economically priced, despite its many beneficial features. 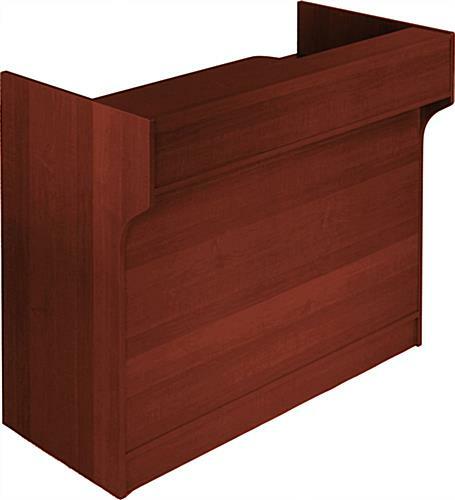 The wrap counter, also known as a cash wrap, is crafted of 3/4" cherry melamine to provide a high quality appearance without a high quality price tag. 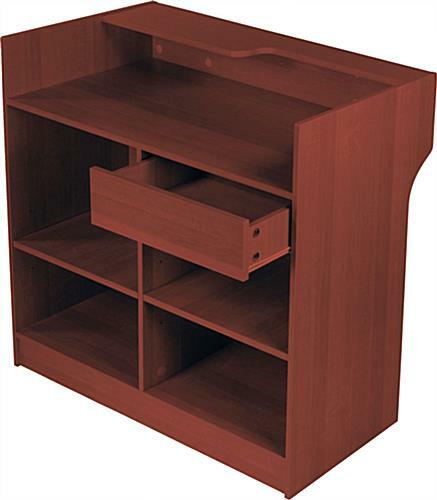 The counter features a 6"h drawer to store pens, receipts, register paper, or other supplies. 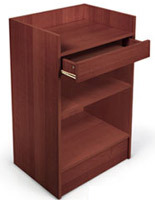 An extended shelf provides your customers with a convenient place to write checks or sign credit card receipts. 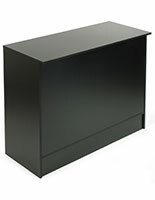 Within the wrap counter, two adjustable shelves give employees a place to store supplies, returns, or items being held. 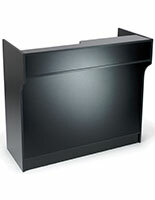 This register stand is the ideal wrap counter for any business looking for a highly functional, yet affordable cash wrap. Please Note: Assembly is required. 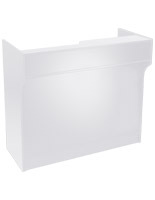 An instruction sheet is included..
48.0" x 42.0" x 22.0"
Exactly as described and very easy to assemble. Thanks for the great review, PJ! We hope you enjoy your new retail counters. If you post a photo on social media, be sure to tag us with #displays2go — we would love to see your setup in action!